Poll: Do you agree with plans to add unpaid Household Charge payments to Property Tax? Michael Noonan has said those who have not paid the charge will see it rolled into their Property Tax liability in July. Do you agree? FINANCE MINSTER MICHAEL Noonan has said that any of the half a million householders who have not yet paid the household charge will see the fee added to their Property Tax liability. Furthermore, households which have not paid the charge for 2012 by the time the Property Tax kicks in this July will see their liability shoot up by 38 per cent. 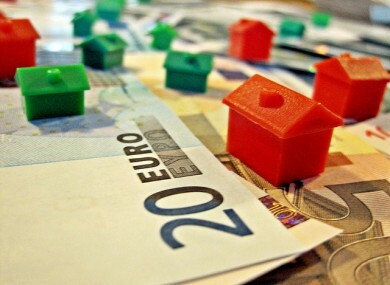 However the addition of the charge to the Property Tax may offer some relief to those who simply could not afford to pay the €100 last year as a plan is being put in place to allow some low-income or elderly householders to defer the payment. It is possible these arrangements would also apply to the unpaid Household Charge once it is rolled into the tax. So we ask; Do you agree with the government’s plans to add unpaid Household Charge payments to the Property Tax? Email “Poll: Do you agree with plans to add unpaid Household Charge payments to Property Tax?”. Feedback on “Poll: Do you agree with plans to add unpaid Household Charge payments to Property Tax?”.